An adventurer takes on “Whitewall Slide” — at night! Photo by Jaime Bernard. Social media is to blame. Record numbers of people are taking to the backcountry to enjoy the out-of-the-ordinary experiences their friends and peers are sharing on Facebook and Instagram. And in doing so, they expose themselves to a different set of challenges and dangers. Some obvious, others not so much. One situation we’d like to single out, for now, is climbing talus and old mud slides, and gullies. This activity, in particular, seems to have a rapidly growing following. The Watcher (photo inset), Arrow, Lincoln and Adam’s (Slides), Guitar, Lowell, Whitewall… any of these sound familiar? None of these are trails — though some used to be — but they have a growing number of travelers (which sheds light on another concern: impact). When you see them it’s understandable, social media be damned; these slides are inviting. 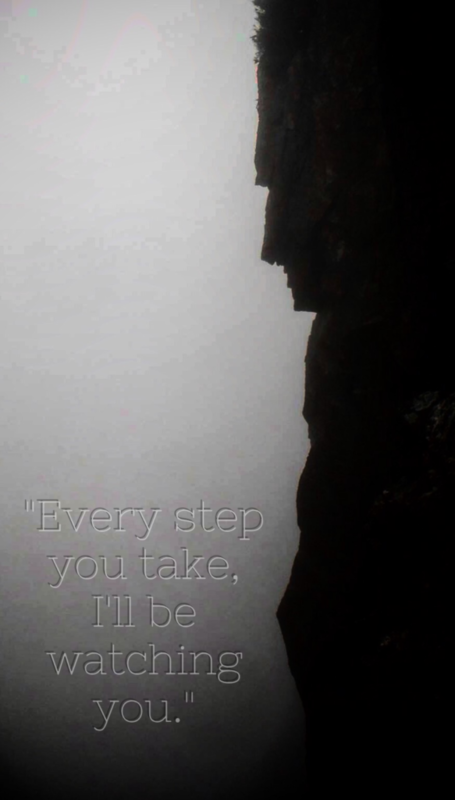 Many of them look climbable and create comparatively easy access channels up the mountains on which they exist. Easy, that is, compared to fighting your way through dense spruce or krummholz. They’ve long been used for this reason, actually… by experienced folks quite familiar with mountain travel. Unlike the slides that are official trails — such as the North and South slides on the Mt Tripyramid Trail and the Owl’s Head Path slide (which we’re counting as a trail even though officially it is not) — the off-trail slides are a little wilder with less distinguished routing. Moreover, less usage means unpredictable footing is more common because the rocks aren’t constantly tested and jostled into a stable or locked position. Additionally, some slides are inherently more active than others due to their steepness or because they have a source of loose rock. Know all of this going in. 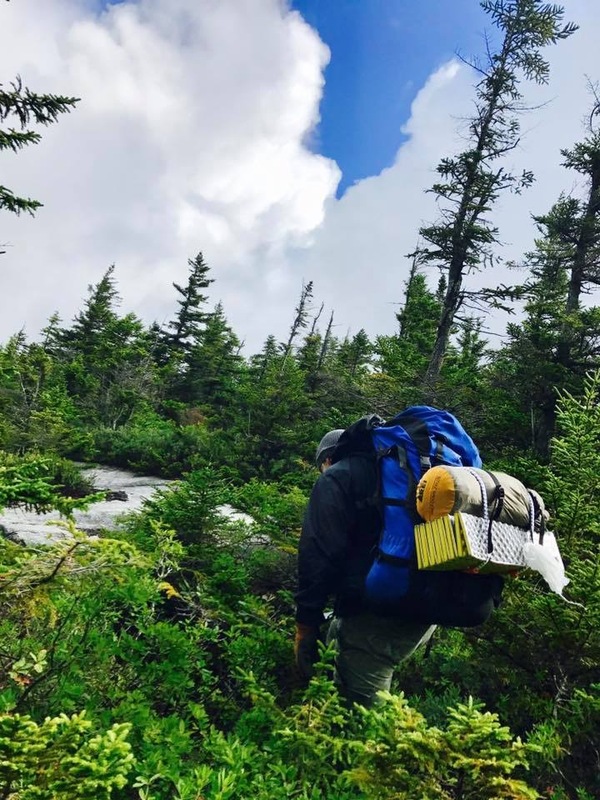 Another difference, due to these being off-trail backcountry locations, is that accidents may be more difficult to discover and address, SAR efforts hampered. A “safety first” mantra in these places is more important than ever. The Watcher looms. Photo by Mike Cherim. Looking up at the inviting yet dangerously loose west face of Whitewall Mountain. Photo by Casey Breeds. 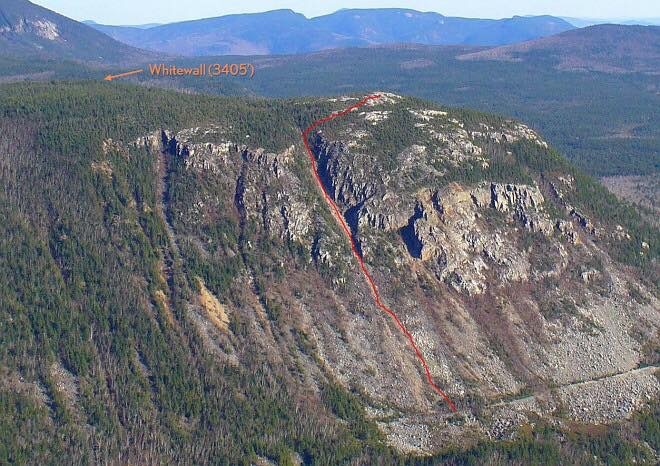 The previously mentioned slide on Whitewall Mountain is located just outside the eastern edge of the Pemigewasset Wilderness, and it is a great example of a very active, yet very inviting slide. Whitewall Mountain as seen from Zeacliff. Image by Jimmy Olson. Whitewall is worth looking at further because it has all the features that we need to worry about. At least by New Hampshire standards. 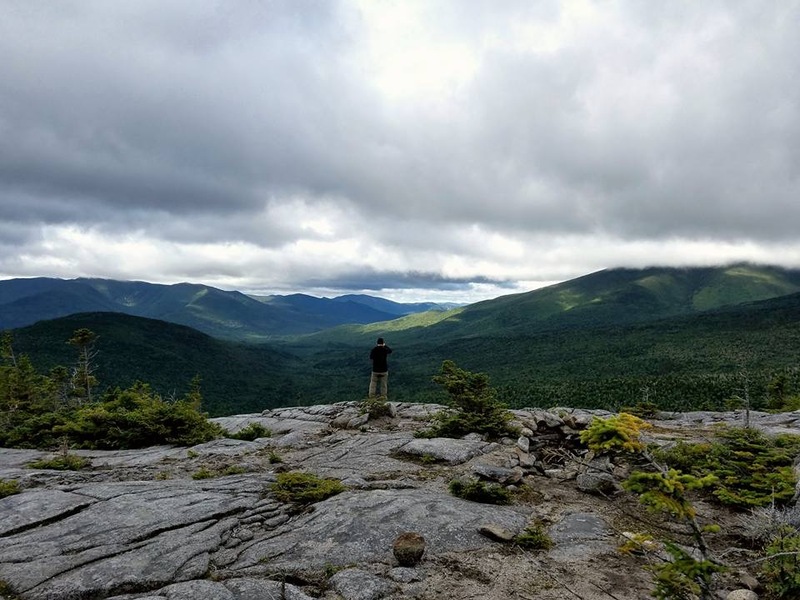 It is accessed directly off the Appalachian Trail, but it’s a portion that’s often not traveled by the typical White Mountains hiker for the simple reason is that the trail doesn’t lead to one of the region’s 4000-footers. It therefore gets a lot less traffic than one of the trailed slides and maybe not the best place to play. Since few people climb this slide, the rocks have not been repeatedly tested meaning they might shift position when you put your weight on them, pull on them, etc. This not only creates dangers for you, but for every member of your team. In time this may change, but this slide will never fully settle down until the source of new rock is exhausted. The rocks on the Whitewall Mountain slide can and do roll and tumble down the mountain regularly, sometimes causing a chain reaction. The rocks are sourced from the very crumbly or “chossy” headwall that crowns the entire slide barring the single channel right of center. It is a slide after all and you will see of a lot of evidence of activity such as rock-to-rock impact. 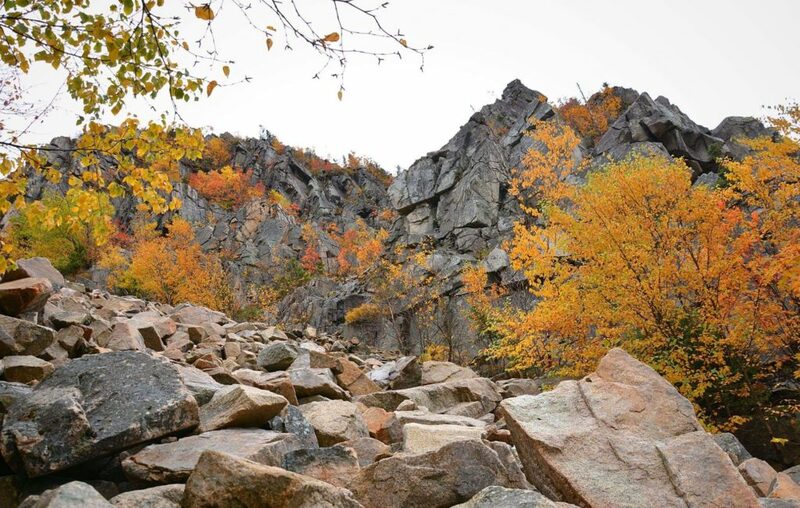 The talus field and slide on Whitewall is the second steepest slide (second only to Mt Lowell, and it does have the steepest average angle) in the New Hampshire, Vermont, and Maine ranges and therefore demands respect. A human fall on the slide might result in death. Really steep! Photo by Casey Breeds. When “doing Whitewall,” as one might say, or any slide or gully for that matter, there are a few things, practices you should follow, that will help you succeed and stay safe. What follows is this information. An adventurer bushwhacking to the actual summit of Whitewall Mountain. Photo by Jimmy Olson. Since so many are taking the way less traveled, we decided the timing was right for the publication of a short article on the subject complete with some helpful hints and tidbits worth sharing. While the magic hiking group size is four people for safety reasons, in this terrain four should be your max (though that does depend on the slide and how steep and active it is). Look for “islands of safety” where trees have long existed and the static rocks around them are gray in color and have some lichens attached. Also try to avoid terrain traps like choke points. Day is best. Night ascents require climbers know the proper route precisely. 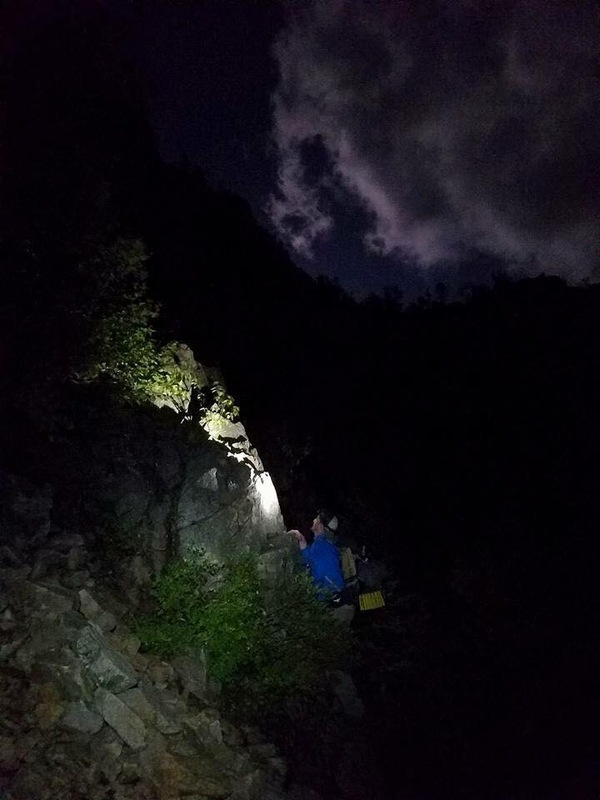 Additionally, overhead dangers may not be visible by headlamp creating the potential for greater exposure. It might be easier, though, when considering the psychological aspects of climbing the dizzying heights of slides. Be aware of your position in relation to your team members. Stacking one above the other should be avoided in all but the most stable terrain. In addition to normal hiking gear (without your trekking poles or with them stowed), we’d suggest at least a mid-height boot to protect the ankle. A grippy “approach boot” is great. A climbing helmet is also a huge plus to protect from some overhead dangers. Unless you are well trained in the finer points of travel in avalanche terrain, slides and gullies should be completely avoided in the winter months. With the proper training, however, and given safe conditions, winter can be fun. Many of these slides may actually be skied — with extreme care. This is one of the reasons why (for those asking). Photo by Jaime Bernard. Is this for you? Remember that being guided by a professional is always an option.